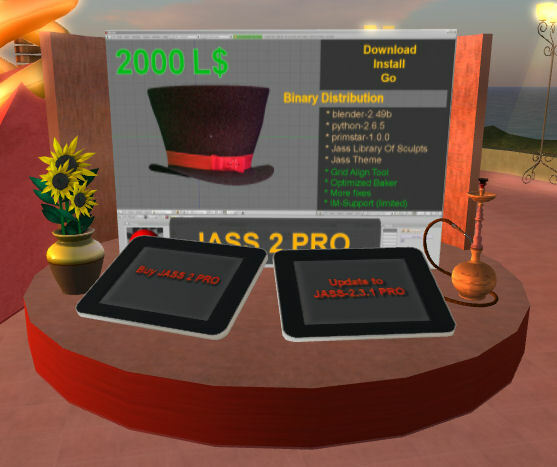 I have now installed a binary Distribution Vendor in our JASS-Shop in Second Life. 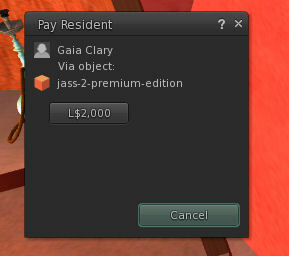 When you enter the JASS-Shop you will find the JASS-vendor just in front of you at your right hand side. 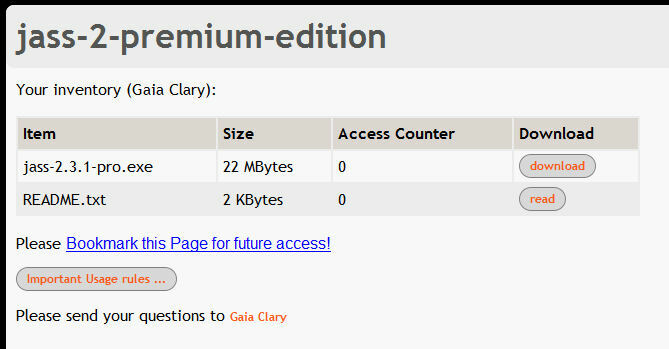 Please understand that we will count every download from your download page. So please keep this link for yourself. For your convenience the download link keeps valid for 30 days. 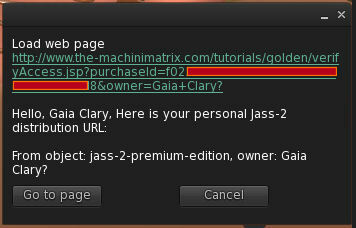 So you can redownload the data several times if for some reason you get download problems. Also note that we will refund you to 100% in the case when the product does not install or is defect by any means or does not suit your needs at all. Refund will only be possible within 30 days after payment. We hope you enjoy the product. And we hope the purchase process is acceptable.